Final Fantasy 7 is finally being remade after years of begging by fans. I’m deliriously happy about it – not because I have extreme nostalgic ties to the game, or that I really, really, really want to replay the RPG. Mostly, I’m happy because fans who’ve been begging for it will finally shut the hell up. Oh, except for the purists. Because this remake won’t be exactly the same game they’ve played a hundred times already. Speaking to Famitsu and to Dengeki Online (via Kotaku) producer Tetsuya Nomura said that the game won’t be a 1:1 simple remake. It’s not going to be a mere cosmetic upgrade – so it’ll be getting improved battle systems, audio, graphics, evolved and mayhaps more modern gameplay systems. “We haven’t shown any gameplay yet, but since we’re updating them quite a bit, please look forward to that,” Nomura told Dengeki Online. There may even be some story changes, with some arcs being fleshed out. This is dangerous territory, if you ask me. While fans have been clamouring for a remake for forever, they’re such a rabid bunch that if anything looks or feels out of place they will set the world on fire. Me? I’d much rather have a proper remake of the superior, but not quite as well loved Final Fantasy VI. That game got a remake of sorts for mobile platforms, but is frankly terrible. Oh, and because fans of videogames on the internet are never happy about anything, there’s actually a petition for Square to remake Final Fantasy VI instead. Yes, really. 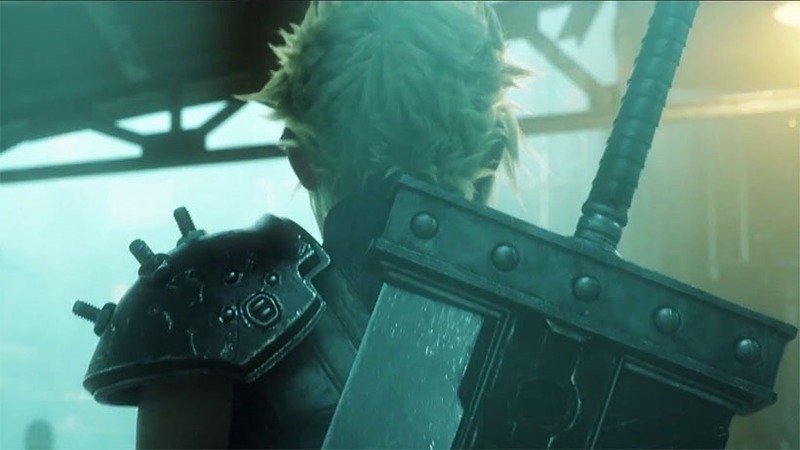 Behold, TWO brand new images for Final Fantasy VII Remake!